What is Our Winter Wellbeing Calendar all about? Whilst the Christmas period is seen as the time of the year for joy and celebration, what’s often not recognised, is that it can be a particularly tiring and stressful time of the year for school leaders and teachers. The plays and special assemblies are all wonderful cause for celebration. However, the continuous run of late nights, mixed in with the everyday pressures of school life can take their toll! That’s why this year, we thought we’d try to lend a ‘virtual’ helping hand! To help make December just that little bit less stressful and more joyful for you, with our first ever, Winter Wellbeing Advent Calendar. The Calendar will involve 24 days of mini-blogs/thoughts for the day designed to offer you encouragement, support and useful advice to help you stay positive right through to Christmas day. These mini-blogs will be provided by inspiring educators, focused around a different theme of Well-being in education. We have enlisted top educational thought-leaders, bloggers, coaches, authors and inspiring school leaders to bring you a fantastic calendar of wellbeing wisdom, thought-provoking questions for reflection, and words of encouragement and inspiration. 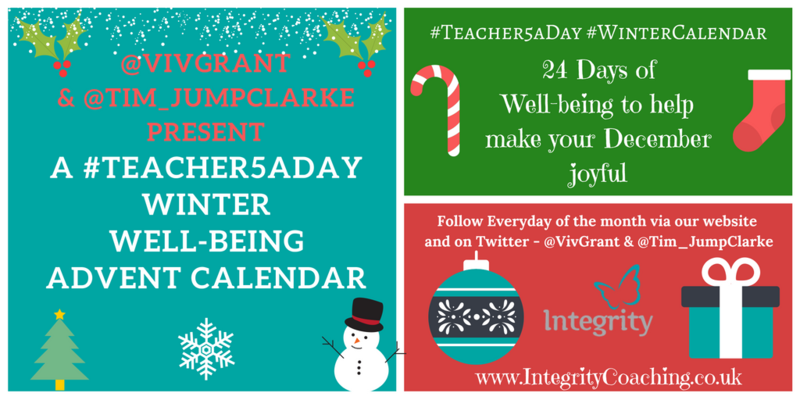 Our Calendar will also be run in collaboration with #Teacher5aday (Twitter Teacher Wellbeing initiative set up by Martyn Reah) and @Tim_JumpClarke’s Winter challenge calendar, which consists of 24 winter challenges, to help you relax and be more compassionate to yourself and those around you this Christmas. Even if you don’t have Twitter, when the window has been opened you’ll be able to read the day’s mini blog by following the link on the calendar itself or via our homepage. Alternatively, you can now sign up to receive every day of the calendar by following the link below. We’d love you to get involved with the calendar as much as possible, so if you have any reflections on the winter wellbeing thoughts of the day, please do share them via Twitter using the #WinterCalendar hashtag. Likewise, if you have any photos, snippets of wisdom or quotes that have inspired you and think would inspire others through the month of December, please do share these too. Just be sure to use the #WinterCalendar hashtag! This entry was posted in Ideas, Leadership, Pedagoo, PedagooLocal, PedagooLondon, PedagooReflect, Professional Learning, xmasparty on December 5, 2016 by Viv Grant. The Pedagoo Xmas party is over for another year, but hopefully the spirit of Xmas sharing will stay with us a while! I chaired the “Literacy for Life” breakout session where we shared ideas and discussed how they could be adapted. 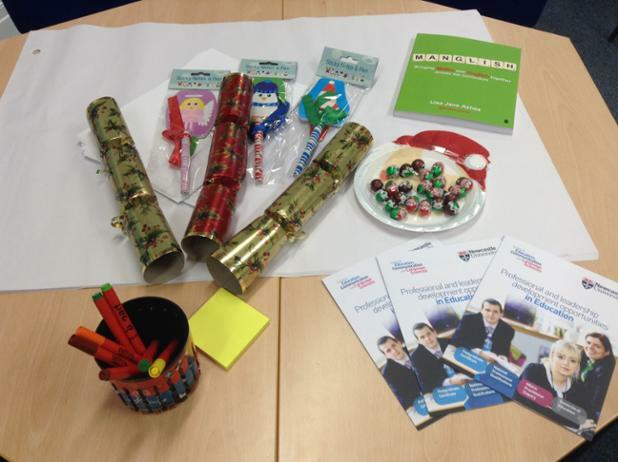 This entry was posted in Literacy, xmasparty and tagged pedagooxmasparty, simplysharing on December 13, 2014 by Helen Blanchett. We have published the audio archive from three talks at #pedagooxmas 2014 on EDUtalk all tagged: pedagooxmas. Pedagooista or anyone else interested in education can post to EDUtalk at any time. For example just tag an audioboom #edutalk and it will be pulled into the EDUtalk mix. This entry was posted in xmasparty and tagged #edutalk, pedagooxmas on December 11, 2014 by John Johnston. 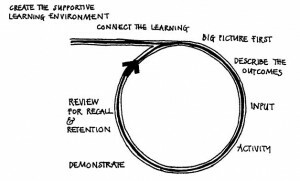 The Clarify-Prepare-Share-Link technique is something that draws on the work of The Accelerated Learning Cycle by Alistair Smith (http://www.alistairsmithlearning.com) (@alatalite) and Ian Gilbert’s THUNKS (2007) (@ThatIanGilbert); combining elements of the two very effective methods to suit my own teaching needs. It is worth mentioning at this stage that if you do not already follow them on Twitter (unlikely I know), you must, as they are both an instrumental and inspiring source of teaching and learning knowledge. 1) Pupils were often there before I was and valuable time was being wasted at the start of the lesson. 2) Further time was then required to settle the pupils and get them in to the correct ‘learning’ mindset, getting them thinking. With a view to dealing with both, I decided to draw upon an idea that I first heard during a #teachmeet at Cramlington Learning Village, and started to leave a document wallet attached to the classroom door with my variation of THUNKs inside. Initially, it did seem like a gimmick to the pupils concerned (which they loved) and they worked efficiently but as we all know, the novelty wears off eventually and it was important to clarify the process, to remove the ‘gimmick’ label and ground the activity as something worthwhile, rather than just an add-on or starter; which is where the link with Alistair Smith’s Accelerated Learning Cycle becomes important in developing a faster and deeper level of learning. 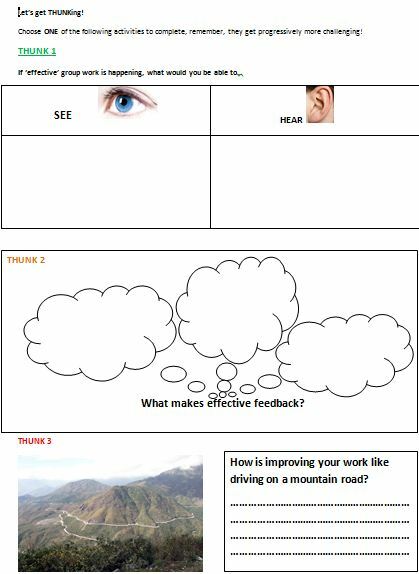 We (as a class) spent a large proportion of the ‘first lesson’ clarifying the process and levels of thinking required during each stage, (CLARIFY-PREPARE-SHARE) asking questions of each of the instructions and ensuring that all pupils were absolutely clear on the requirements. I found that expounding the ‘CLARIFY’ part was the most important; ensuring that they had actually read the task (initially some hadn’t and just assumed they were to collect it before coming through the door) and asking questions of the task; using each other as a resource before they were allowed to progress any further both physically (through the door) and mentally (with the task). 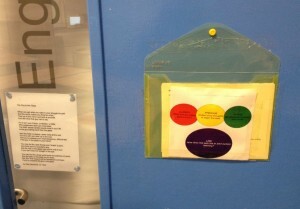 I found it was really important NOT to allow them in until they had ‘clarified’…cue my staring hopefully at them through the window in the door for the first lesson but, I did find that the instructions on the door poster helped and they soon got the hang of it. Having completed the CLARIFY stage, pupils were then able to come in to the classroom, sit down and PREPARE the task, confident that they could participate and most importantly, in the correct learning frame of mind for the lesson. They were thinking before they had even entered the room! 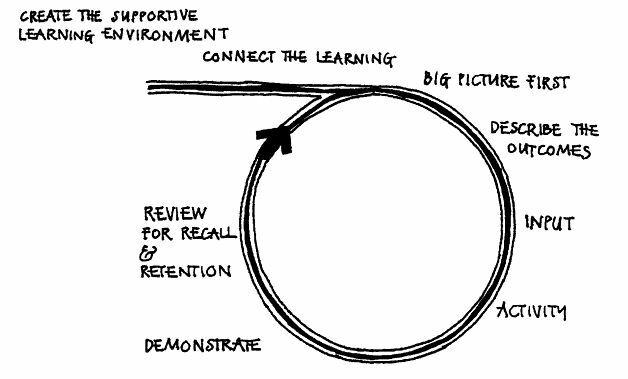 This identifies the importance of choice of task and reinforces that it cannot be ‘stand-alone’ but must link in with the ‘cycle’ of learning or skills required during the lesson. Linking in with the next stage, pupils were already aware that they would need to SHARE their work, weather this be with each other or myself, thus removing the opportunity to opt-out and ensuring that all attempted the task/s. ‘Well, that’s all well and good but what about differentiation? !’ I hear you cry! In order to ensure that tasks are open to all while still providing a level of challenge, I tried to include 3 separate tasks which became progressively more difficult and/or were linked to the levelled assessment criteria of the appropriate exam board (see examples below). Each pupil, knowing their level, attempted the appropriate task and as pupils became more comfortable with the process; I found that although they may start with the ‘lower’ challenge tasks; they were often keen to challenge both themselves and their peers by attempting higher level tasks or, completing their ‘target task’ and moving on to the next level. This is not without difficulties though. I did have issues initially, some pupils raced through all tasks just to prove they could do it, while the quality of work produced was poor. This does require immediate feedback and re-clarification of expectations at the PREPARE and SHARE stages and also within written feedback, in order to remedy before continuing. The mantra that providing one quality and well considered answer is far more important than three of a poor standard, was a useful one to share. So far, this technique has ensured that my pupils are thinking on a deeper level before they enter the classroom and has also worked to settle the more lively characters but, in order to promote the THUNKs as a valuable element of the lesson rather than just an add-on or a gimmick, i found the most important part was asking pupils to LINK the learning. 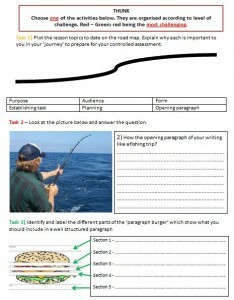 Asking questions such as How might this link with last lesson / the topic? What questions do you have / does the task produce? or Why might I have asked you to do this?, while carefully considering the choice of question stems to promote higher order thinking, are very important. If pupils clearly understand the value of the task, then it instantly becomes more meaningful. 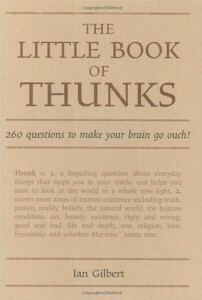 I have been THUNKing since September (2012) and found that it works for my purposes but it may seem like a lot of extra work to some, which I accept…to a point. 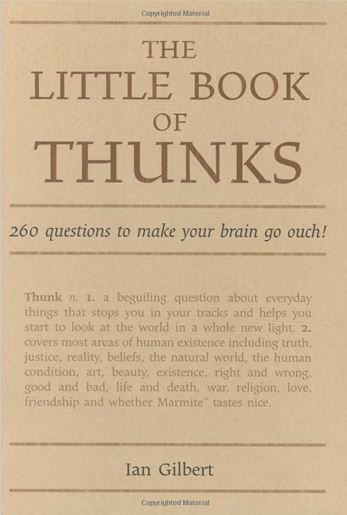 Stage 2 of the process will be getting my pupils to create their own THUNKs (as a plenary activity) for the following lesson, truly handing the thinking, and subsequently their learning, back to them. This entry was posted in Curricular Areas, English, Ideas, Pedagoo, xmasparty and tagged pedagooxmasparty on January 5, 2013 by beetlebug1. At about 8.30 am, on Saturday the 22nd of September I was standing in a hotel in Glasgow with Fearghal Kelly (@fkelly) Neil Winton (@nwinton) and Ian Stuart (@islayian). We chatted nervously as the reality of what we were doing here began to sink in. For a moment, perhaps, as time seemed to be passing, one might have thought we had bitten off more than we could chew. But soon that thought was dispelled. Educators began to arrive; first, one; a familiar face; then, two, three, two more. The first ever SLFFringe event was Pedagoo’s biggest project to date and a huge success. I won’t recall every detail- look back on the blog for some real inspiration – but there was a moment later that day when Fearghal, Neil and I caught each other’s eyes. None of us spoke. We knew we had achieved something special. Bringing educators together to share was always the original point of Pedagoo. We were and are very proud of that. The positivity which pervaded the day sticks with me even now, feeling a shiver as I write about it. 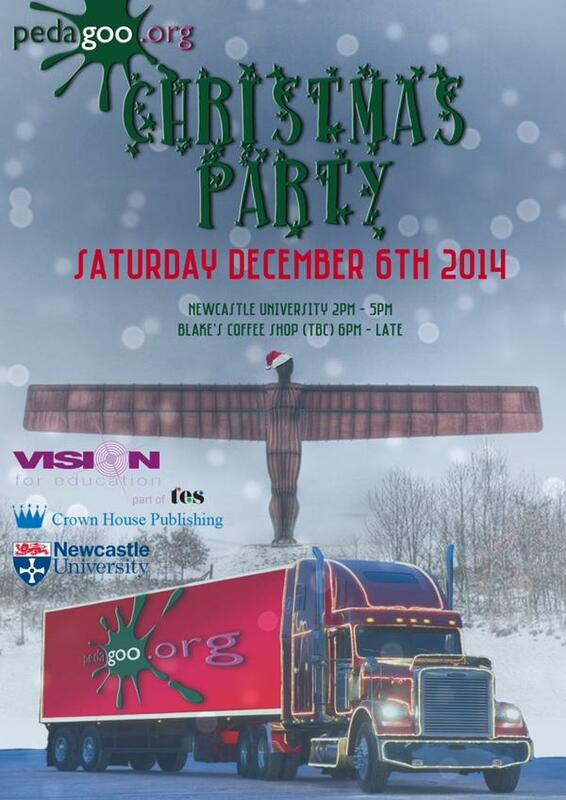 The #pedagooxmas party in Newcastle continued that. But that moment, when Fearghal, Neil and I shared that unspoken thought is my Pedagoo highlight of 2012. 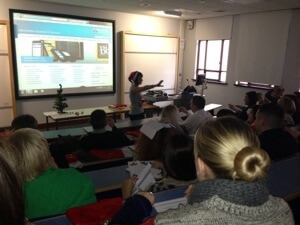 This entry was posted in Pedagoo, Scottish Learning Fringe, SLFringe, xmasparty on December 17, 2012 by kennypieper. After a pretty long trek up to Newcastle Uni for the event, I arrived with the usual nervous excitement that always comes before an event of this nature. What I was presented with was yet another fantastic group of teachers giving up their time and weekend to share their experiences, action research and ideas for improving our practice. Kenny Pieper & Lisa Jane Ashes kicked off the event with some great tales and activities to get the mind buzzing. Kenny with his softly spoken yet lilting accent engaged us and made us smile along with Lisa and her ice breaker activity to help with sentence structure. Given my grammar, I could definitely learn a thing or two! Following this intro, a variety of different workshops took place. I talked a bit about the NESTA report, Ofsted, Traxler, ‘Find it make it use it share it‘ report from Wales, University of Hull report and the importance of SAMR along with some ideas and tools that can help support transformational / redefinition learning. Samantha Williams on independence & advanced questioning. There was lots on offer & feedback within sessions and through conversations were fab to be a part of and eavesdrop on too. People thinking about how they could take the ideas and apply them to their settings. Tait Coles’ advice rang very true for me though. By all means take my resources and use them but don’t just take them and use them…. Does that make sense? What he means is, take them and then develop them for your individual setting. 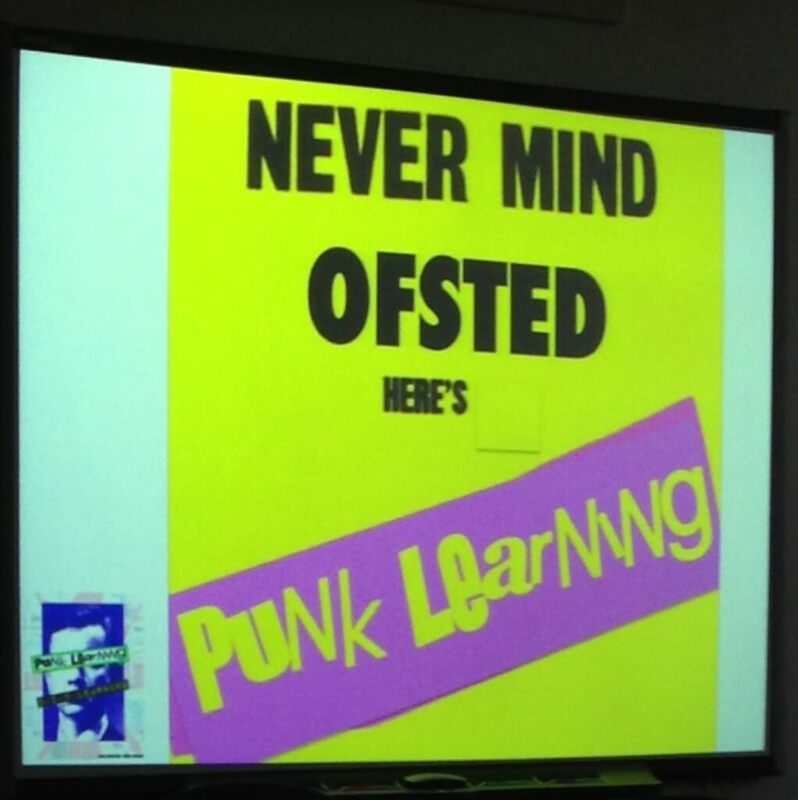 And if there’s anything that ‘Punk learning’ can teach us, it’s that you need to be grass roots with the frameworks students use. Give them your effort and then let them develop it. Let them critique and improve your initial (magpied) resource. Give them that sense of ownership. Let them invest in their assessment structures. By doing that they’ll understand the framework better and work within it and beyond. Although I got something from all of the presentations. Massive thanks must go out to Gary Mitchelson, Lisa Jane Ashes and everyone at Pedagoo for organising a great event. It ran like clockwork and the positivity and collegiality shown from all was great. I made some new friends and got to meet some of my twitter heroes too including the amazing Chris Allen; someone who has shown me the way on so many occasions. See you at the next one? This entry was posted in ICT, Pedagoo, TeachMeets, xmasparty and tagged pedagooxmasparty on December 12, 2012 by Mark Anderson.